If you’re thinking about getting on your bike for the first time (or after a bit of a break), don’t be worried by rumours or put off by perception. Cycling offers a whole host of benefits – from physical, mental and social perks, through to simply getting from A to B in the quickest and cheapest way possible. 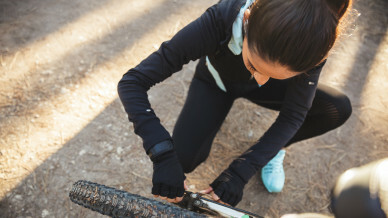 We bust the most common cycling myths – from safety through to clothing and fitness. Many women who now live and breathe cycling, didn’t always have this love for the hobby and started out with the same thoughts and barriers that may put you off. Have a read of the stories from these women for inspiration on ways you can combat your fears. 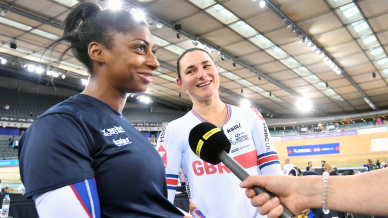 In March 2013 British Cycling announced an ambition to get one million more women on bikes by 2020. Since then over 800,000 more women have been encouraged to take up cycling, however two thirds of frequent cyclists are men (compared to countries like Denmark where male cyclists account for 47% and female cyclists 53%). We are determined to narrow this gender gap and find our millionth woman, before going on to inspire even more women to be regular riders. Our #OneinaMillion campaign is all about supporting and encouraging you to choose cycling – at whatever level – by tackling the common myths and misconceptions which prevent women from reaching their cycling potential. Keen to get on your bike but not quite ready to ride on the roads? There are plenty of traffic-free options to help you get out there and feel the wind in your hair. 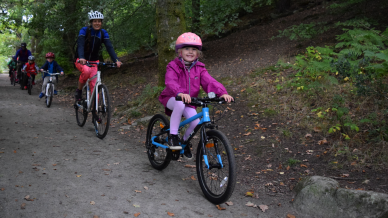 Getting off-road is great to improve your cycling skills, plus it’s perfect for bringing your family and friends along. Every woman is welcome on our HSBC UK Breeze rides, no matter what your level. You’ll discover new local routes and places, make new friends and gain the confidence to do things you never knew you could – all whilst having lots of fun. And if that wasn’t enough to persuade you, our Breeze Champions organise everything for you! Sore hands? Sore bottom? In need of motivation? Petrified of punctures? Hear from women who have shared the tips and tricks that helped them through their first days, weeks and months of getting into cycling. Sportives are organised challenge rides allowing you to test your legs and take in stunning scenery, without the hassle of having to plan a route yourself. Each event is friendly and supportive with multiple route options, plus they are great for training motivation. Turn your spin into something a little more social, with friendly cycling groups and clubs in your area. Riding with others is great to keep you motivated, plus you will quickly pick up new skills and find yourself pedalling outside of your comfort zone (which can only be a good thing). All you need to know about finding a race, turning up for the first time and what to expect on the day. Find out about friendly training sessions to improve your technique before taking part in an entry-level event. 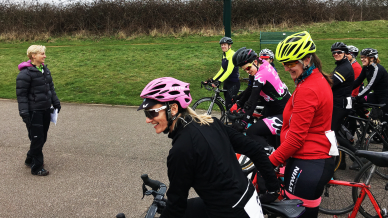 Do you have the passion to inspire other women to get into cycling? Volunteering is a great way to share skills, meet new people and make a difference both in your local area and at big cycling events. When cycling becomes a big part of your life, setbacks like injury, saddle soreness and race nerves can put a bit of a spanner in the works. Get back on track (or road and trail) or mix up your training with expert advice from the Insight Zone. 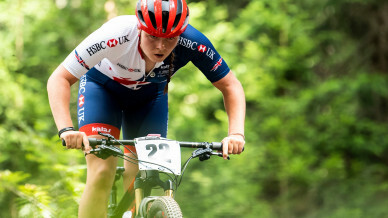 Talented young riders have more opportunities than ever to reach their potential in cycling through the British Cycling Talent Development Pathway. 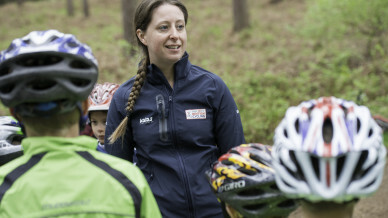 This Sport England-funded coaching and support structure helps riders to develop from local talents to podium athletes, giving them all the skills and experience they need along the way. 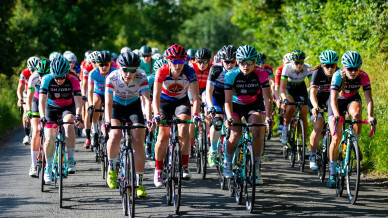 Our Women’s Road Racing Workgroup are enhancing the future of women’s racing at all levels, providing advice and guidance to support the delivery of women’s road and circuit races and ensuring that we have an appropriate pathway and balanced racing calendar. 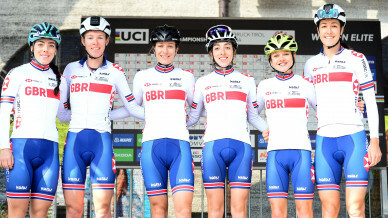 Social media gives us a brilliant insight into the lives of the women’s professional peloton and inspirational females around the world doing incredible things on bikes. Keep up-to-date on the latest race news, adventures, world records and recovery methods by following this lot.